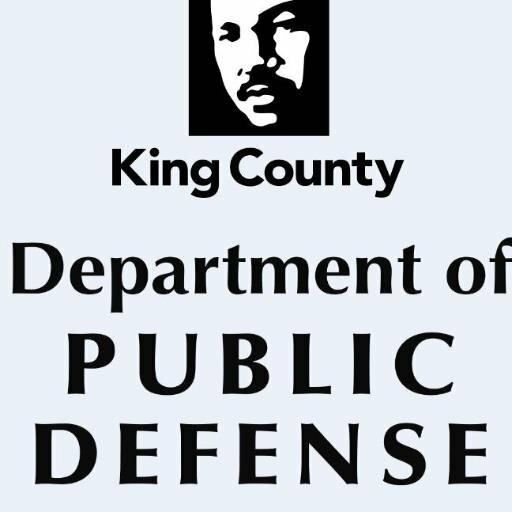 Since she obtained her law degree from Cornell University 16 years, Maureen McKee has been in the trenches of public defense, working as a line attorney and supervisor in one of King County’s public defense agencies. She has represented teenagers and adults, people charged with felonies and misdemeanors, clients who stood to be hospitalized against their will or civilly committed as a sexually violent predator. Judge McKee enjoys a moment with a well-wisher after her swearing-in ceremony in the King County Courthouse in September. having to do with allegations of mold. But she has also found the cases fascinating and the legal issues compelling. “I’ve been pleasantly surprised,” she said with a smile. But he also said she’ll also bring her experience as a public defender to her judicial practice, a career that has imbued her with a sense of empathy for marginalized people and a deep belief in the importance of access to justice. Maureen McKee’s resume speaks to her deep and abiding interest in the rights of others. After graduating from Oberlin College with a degree in what was then called Black Studies, she became a VISTA volunteer at a small community center in Chicago, working to support Latino immigrants taking naturalization classes. From there, she went on to work for the National Institute for People with Disabilities and spent a summer interning for Legal Services for Prisoners with Children in San Francisco. Another summer was spent in Bosnia, where she provided legal advocacy to displaced persons and submitted briefs to the Human Rights Chamber. As soon as she graduated from law school, she went to work for The Defender Association, now a division within the Department of Public Defense. She spent the next 16 years of her law career there, rising from staff attorney, to investigation supervisor, to misdemeanor unit supervisor, to acting managing attorney for the division. A pivotal moment led her down the path of legal advocacy several years ago, she recalls. Right before she was about to pursue a master’s program at Cornell, she saw the documentary “The Farm” about a maximum security prison in Louisiana – an “eye-opening experience,” she said, that convinced her to pursue issues having to do with prisoners’ rights. Last year, she experienced another pivotal moment – Seattle Municipal Court Judge Damon Shadid encouraged her to run for a position on the SMC bench. That, too, proved a turning part. After a lot of thought and with the encouragement of others, she realized she could be a voice for reform at SMC, and in January, she filed to run for the seat Judge Karen Donohue was vacating. Meanwhile, though, a position opened up on the county’s Superior Court bench when Judge Lori K. Smith was appointed to the appellate court, and Maureen decided to apply there instead. “The bulk of my experience was in Superior Court,” she noted. She applied for the position and was appointed by Gov. Jay Inslee on July 20. On Sept. 17, during her ceremonial swearing-in, she thanked the many people who helped her reach this point and noted the important role a judge plays in society. Her mother, who as a child fled the Communist regime during the Korean War, was at the event; she flew in from Tulsa, Okla. So were her two sisters, countless friends and colleagues, and her six-year-old son, Amias, whom she is solo-parenting. September 26, 2018 in Other.